Disclaimer: I did receive a free e-copy of the book in order to facilitate an honest review. All opinions are my own. 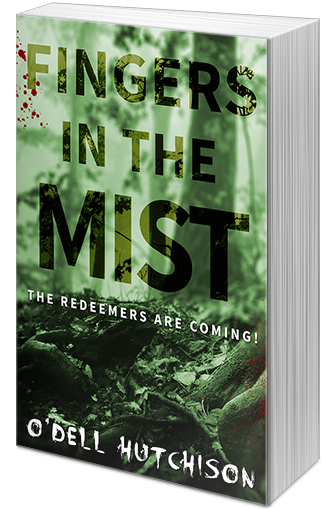 Fingers in the Mist started with a bang....seriously. From the start, it's very fast-paced. I actually would have liked it better if it had been just a little bit slower. I found myself very confused in the beginning until we learned more backstory on Caitlyn and her friends. I did enjoy her attitude and felt myself smirking a lot at her comments to others. The story was a little far-fetched toward the end for me. Energy balls being thrown? I don't know about all that. It's a great story, but I'm not a big fan of too much fantasy. The ending left it open for a sequel at the very least. I'm looking forward to finding out if certain characters actually survived the final showdown, and I'm curious about Jonah. If you like suspense or fantasy books, definitely check this one out. I am very looking forward to reading more from this author!